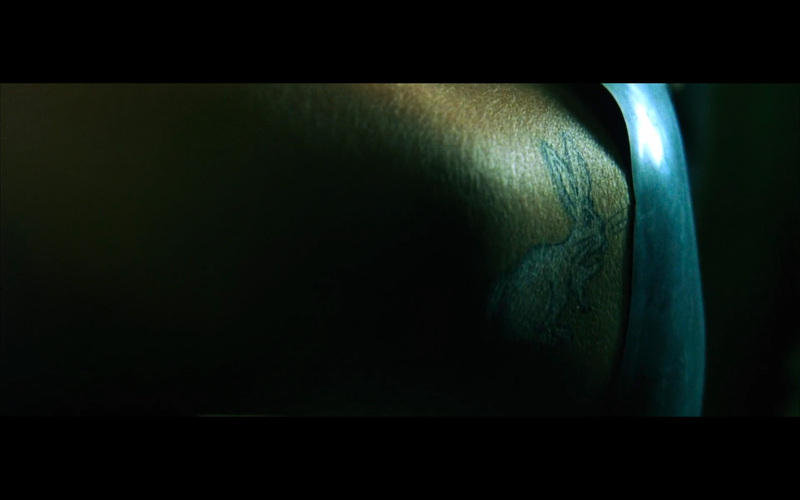 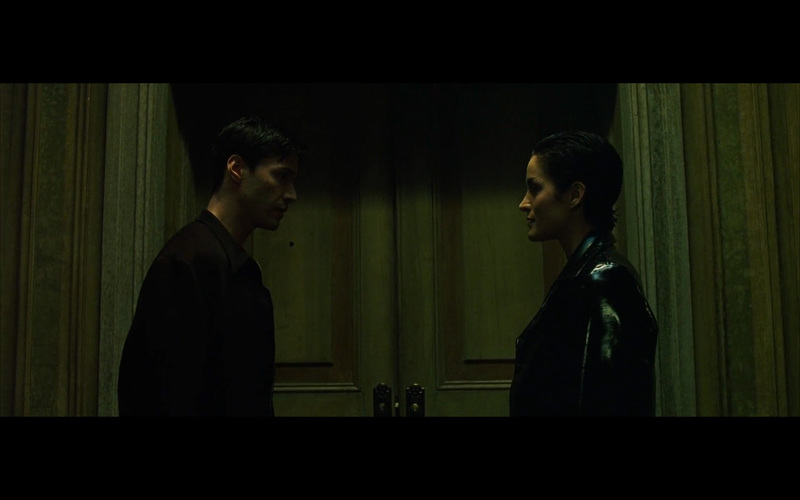 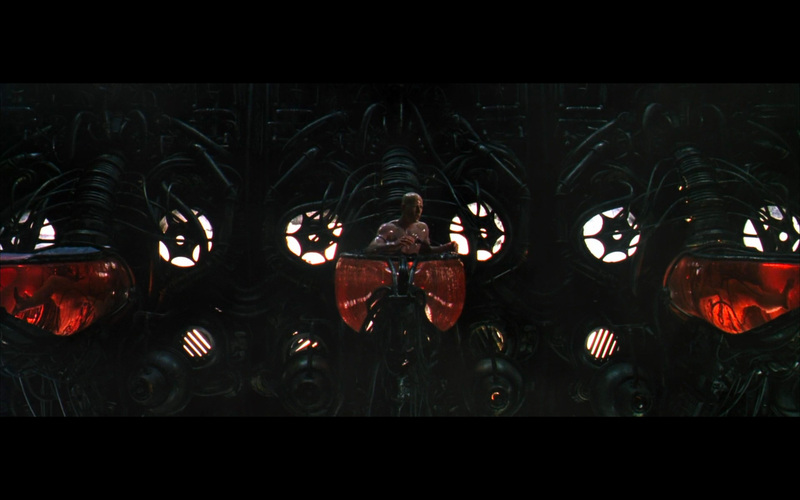 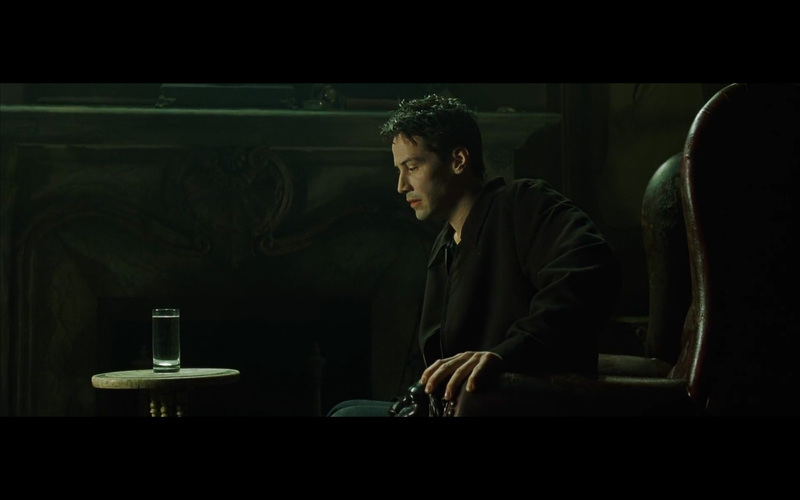 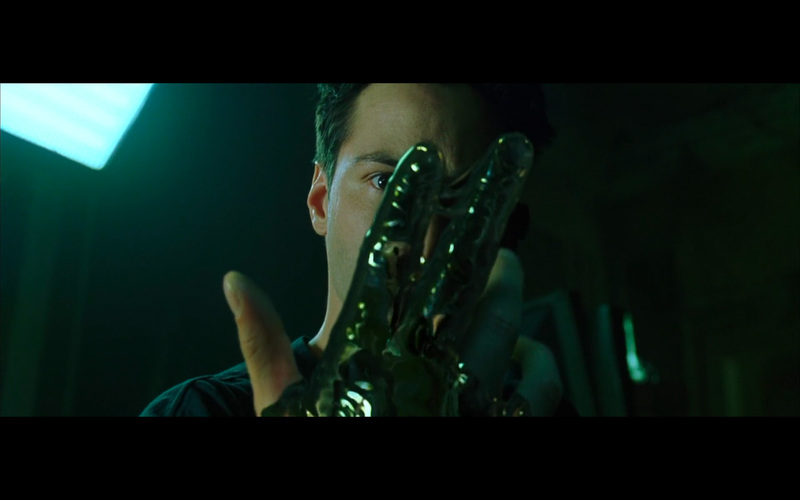 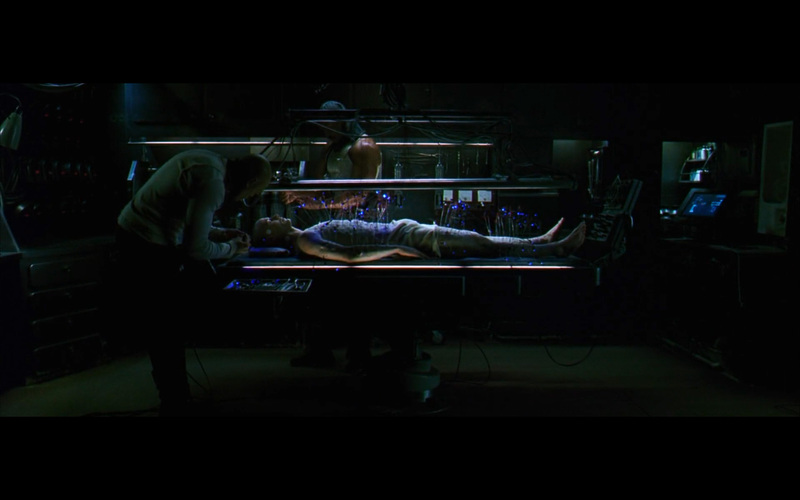 I love this part — when TRINITY tells Neo to ‘follow the white rabbit’. 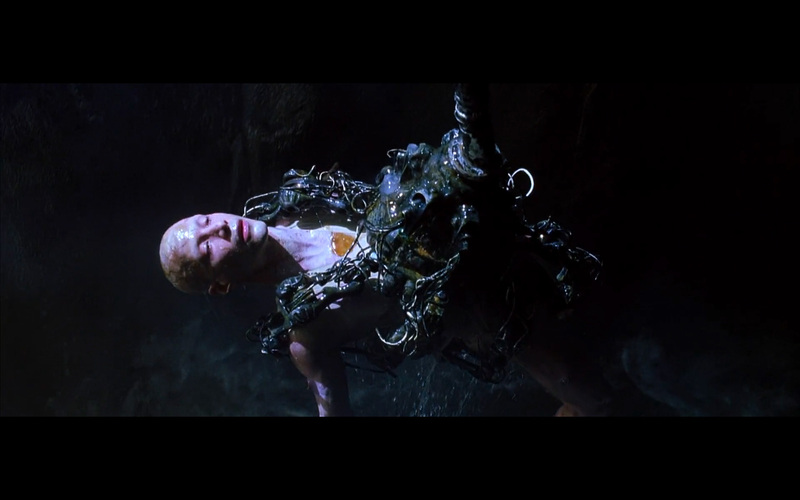 The ocean is deeper the further you go into it. 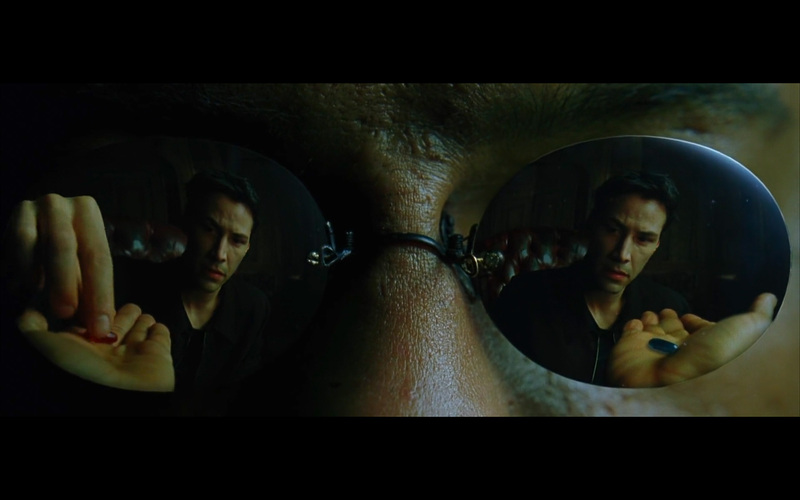 The same philosophy with ‘following the white rabbit/follow the rabbit hole’ (concept from Alice in Wonderland). 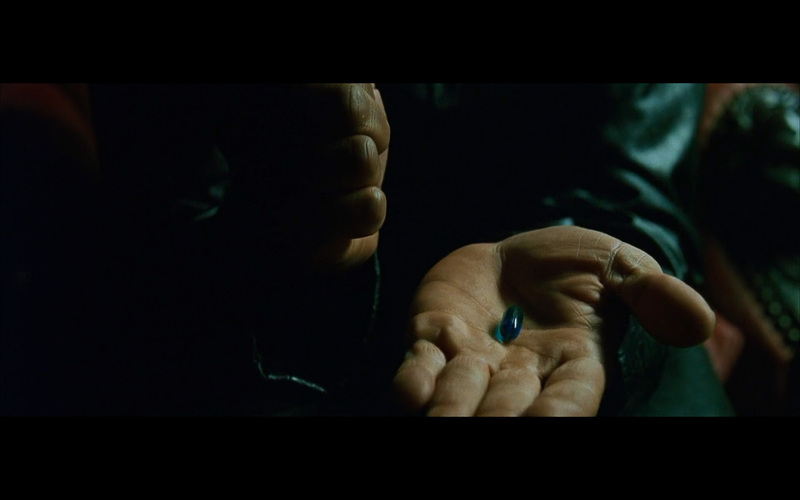 In real life, we have the option to take the ‘safe’ option, or we have the option to go into an unknown rabbit hole. 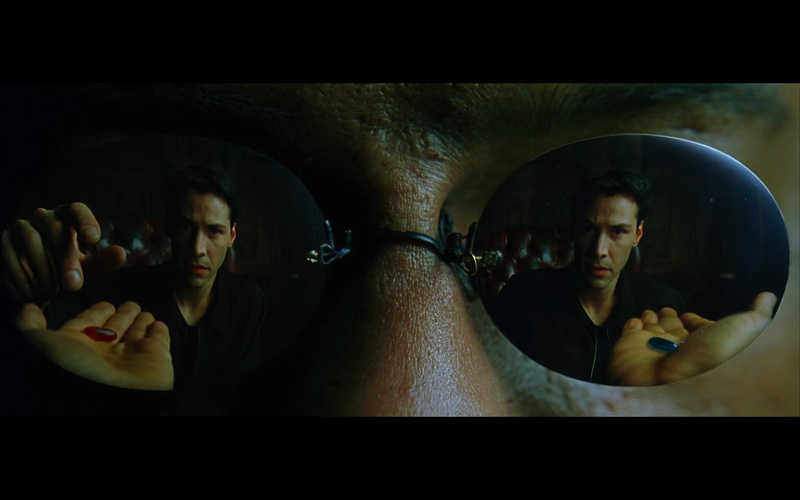 I think to live a more interesting/epic life, we should go down more unknown rabbit holes, and go on more adventures! 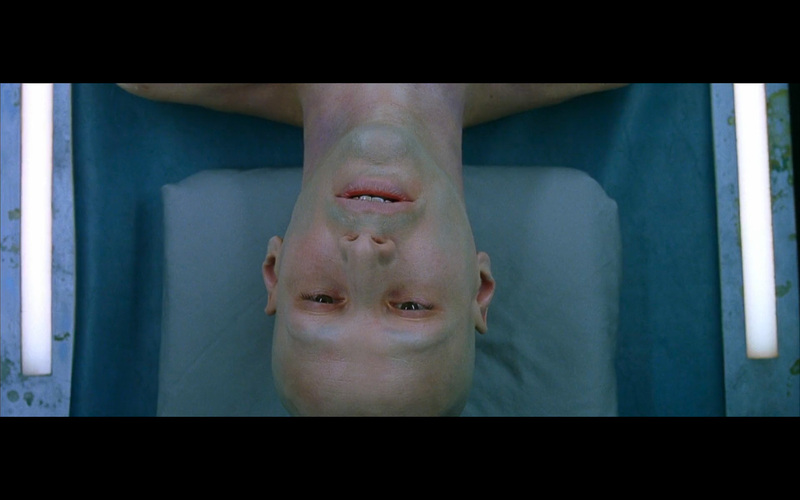 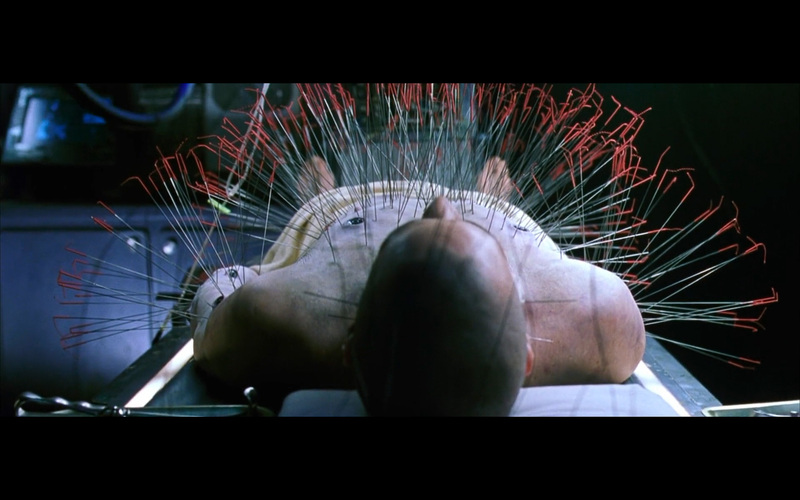 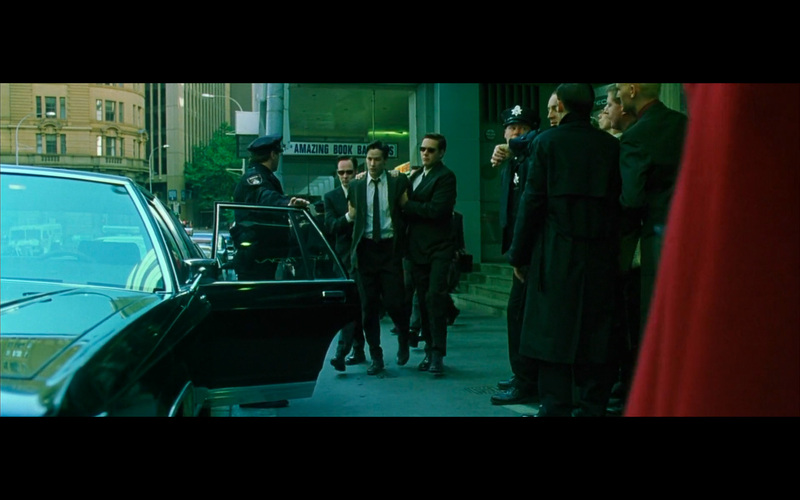 There is this funny scene, when Neo wakes up and he is late for his boring job. 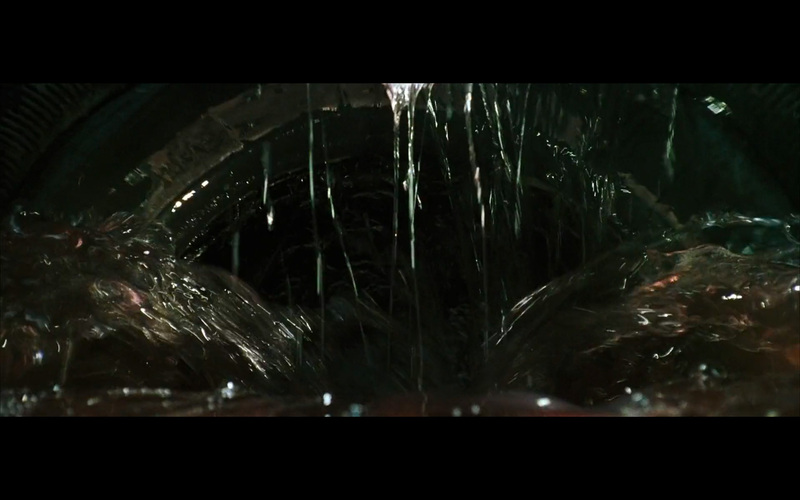 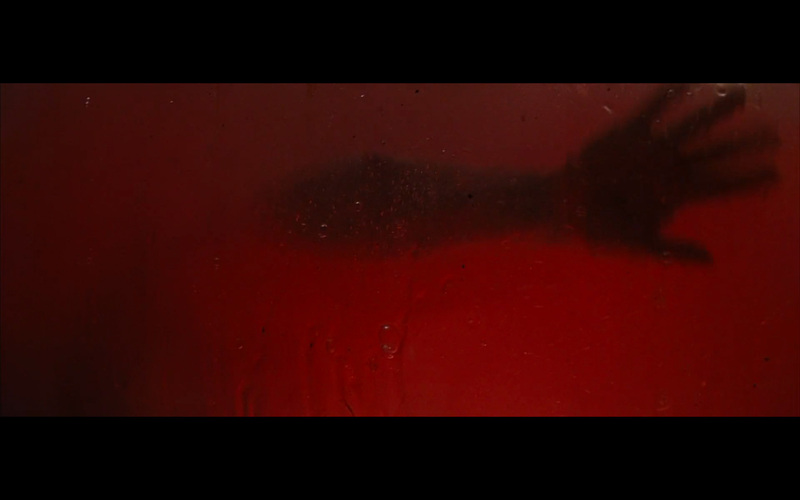 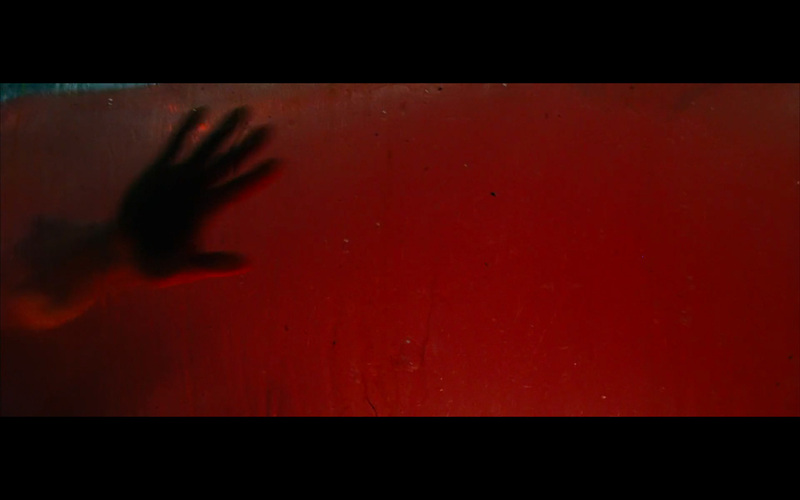 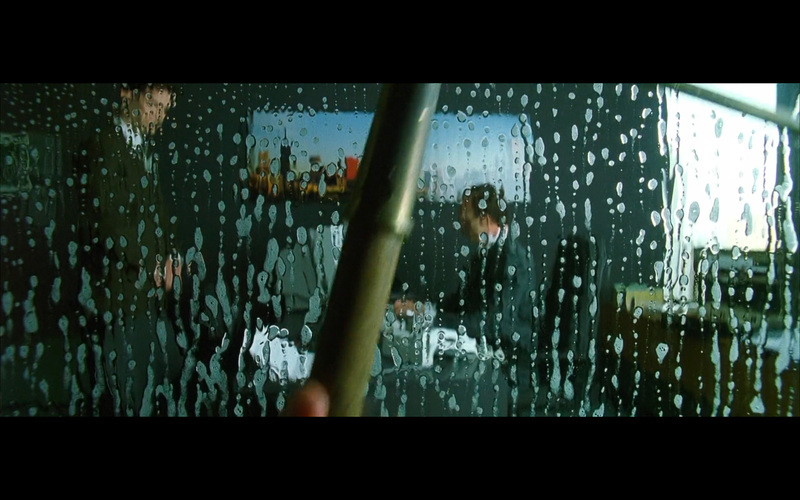 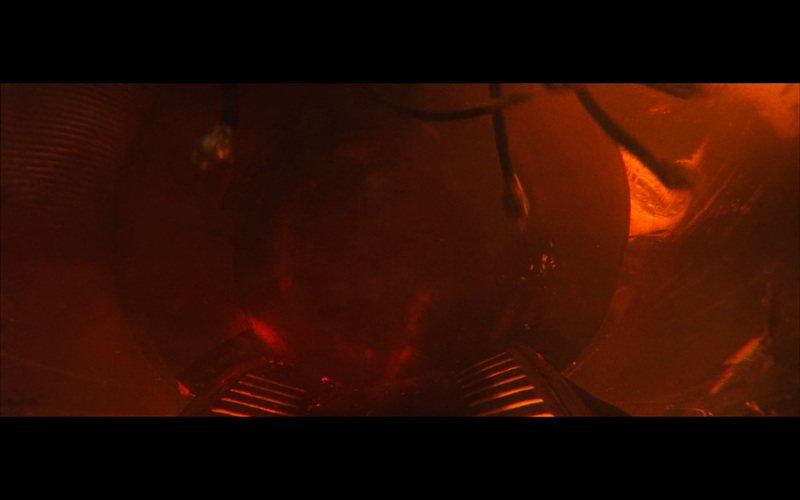 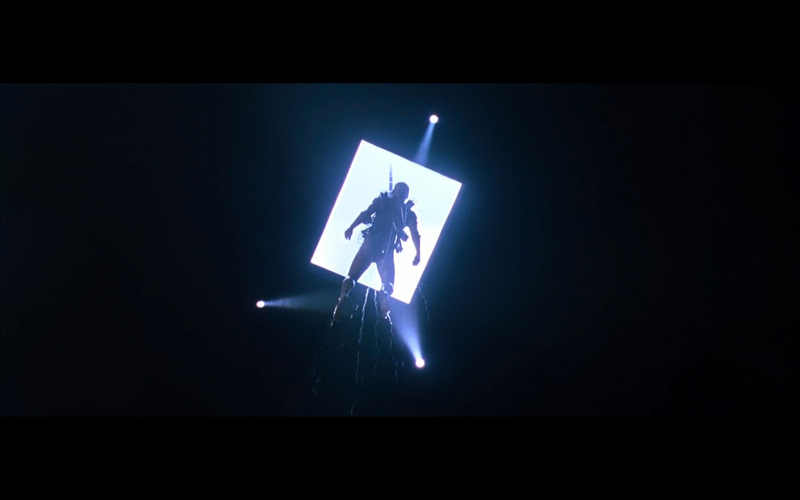 The cinematography is this: you see a window with soap suds, being wiped off. 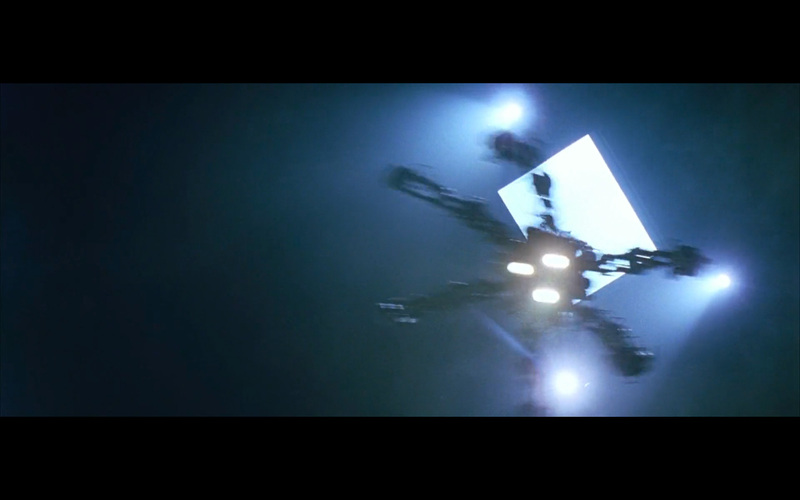 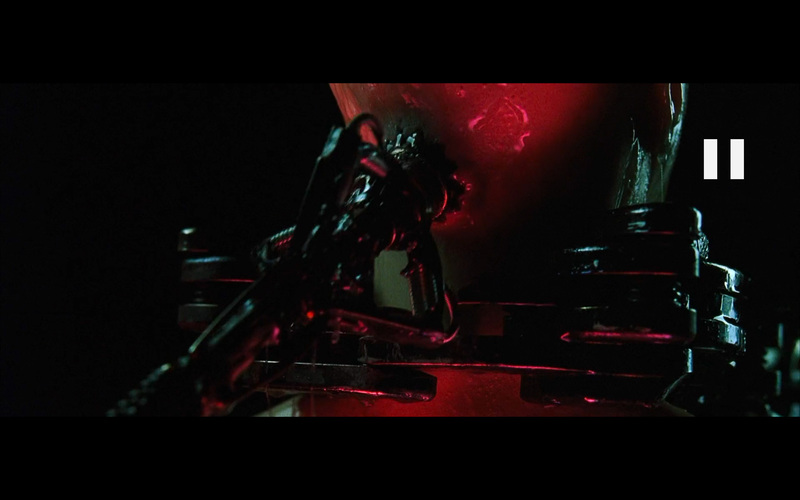 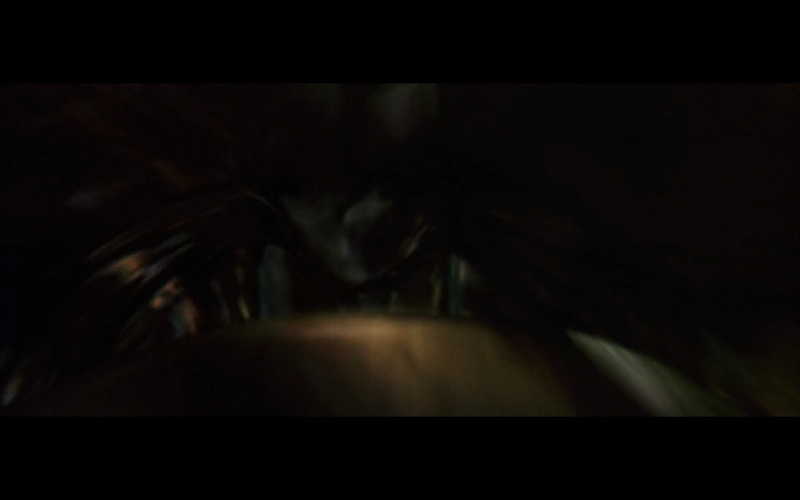 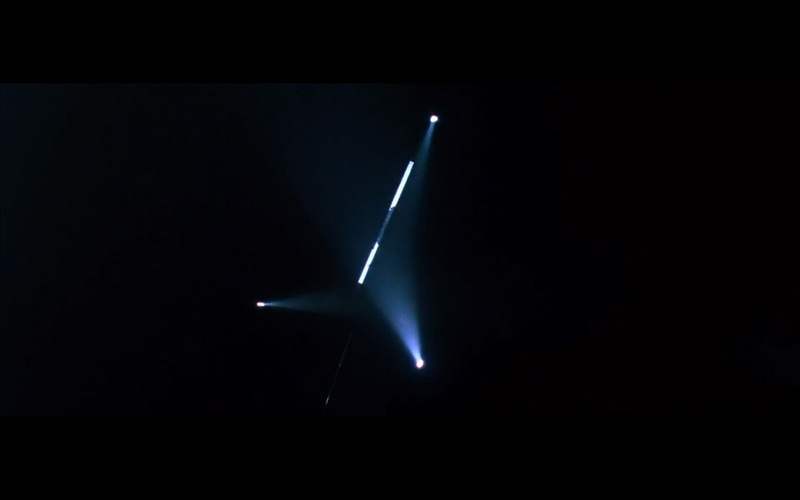 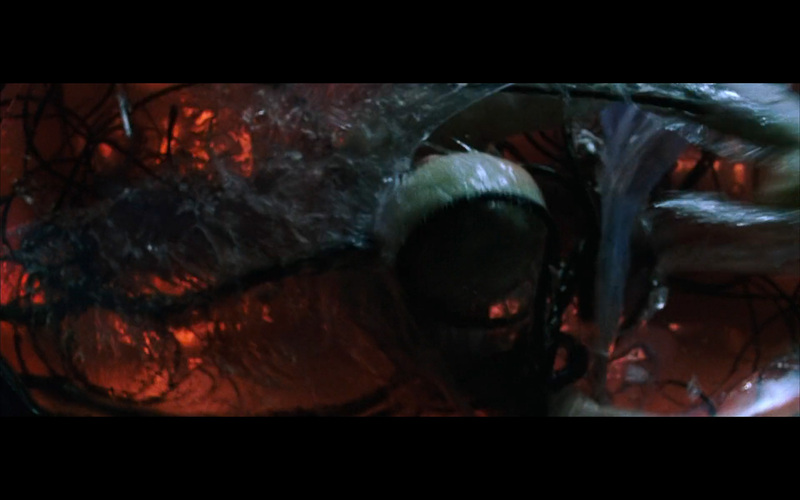 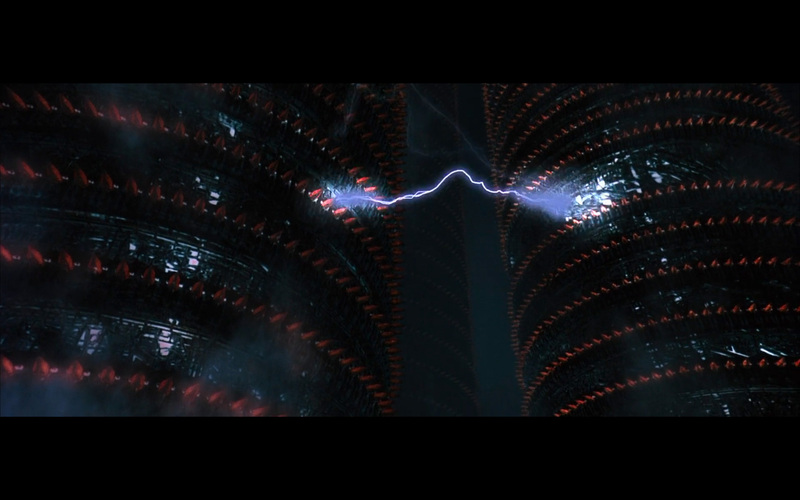 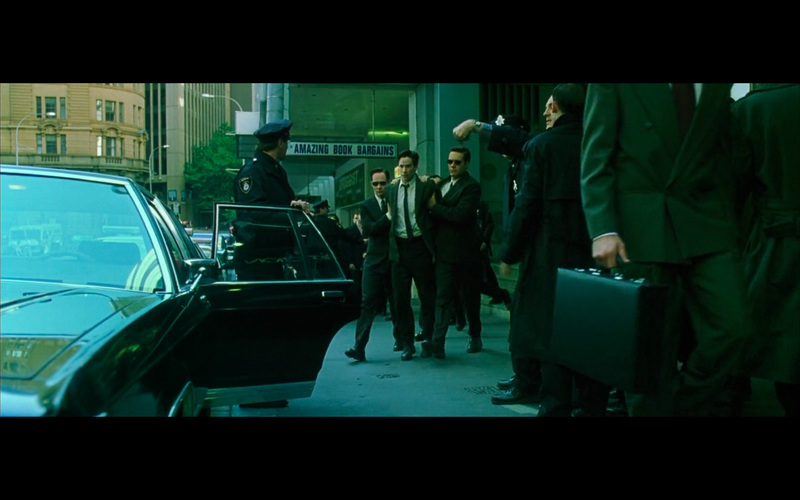 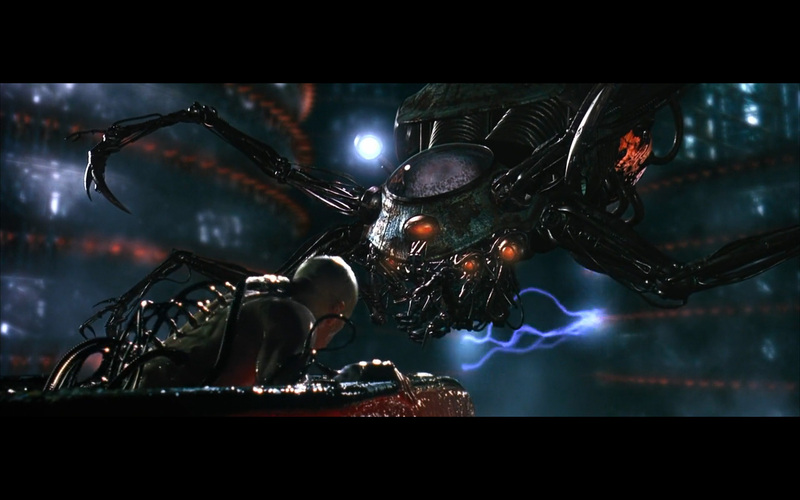 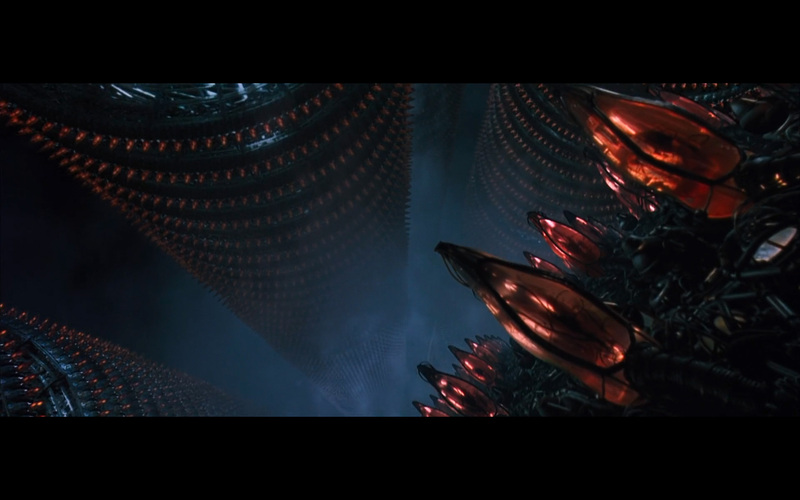 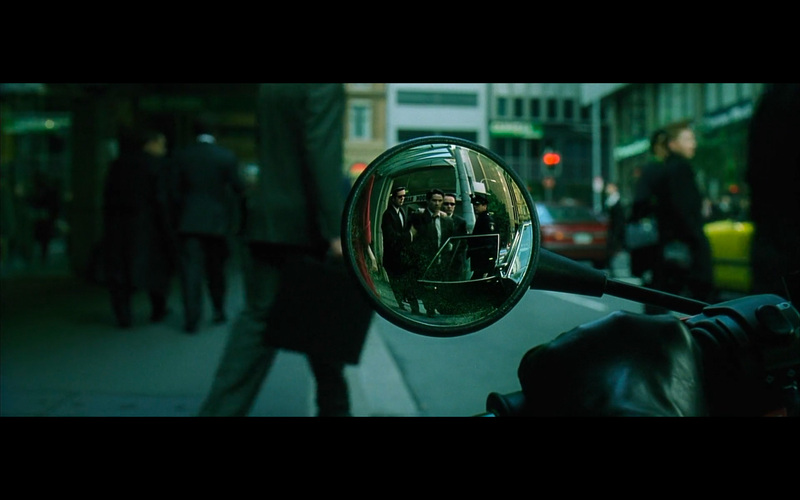 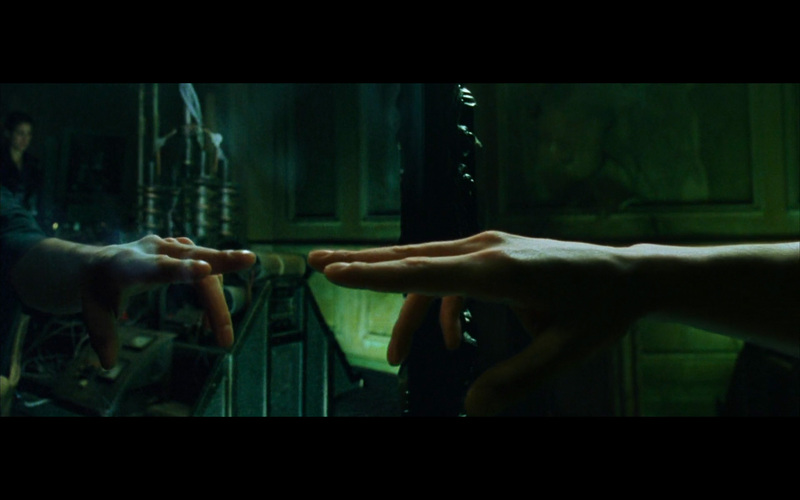 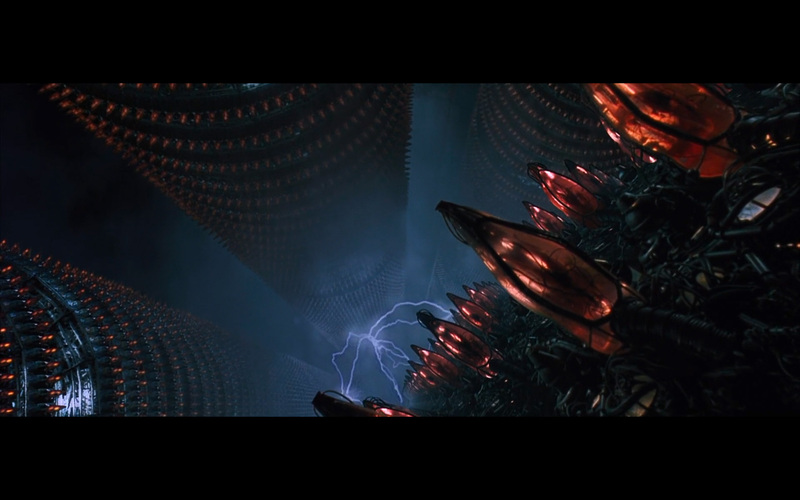 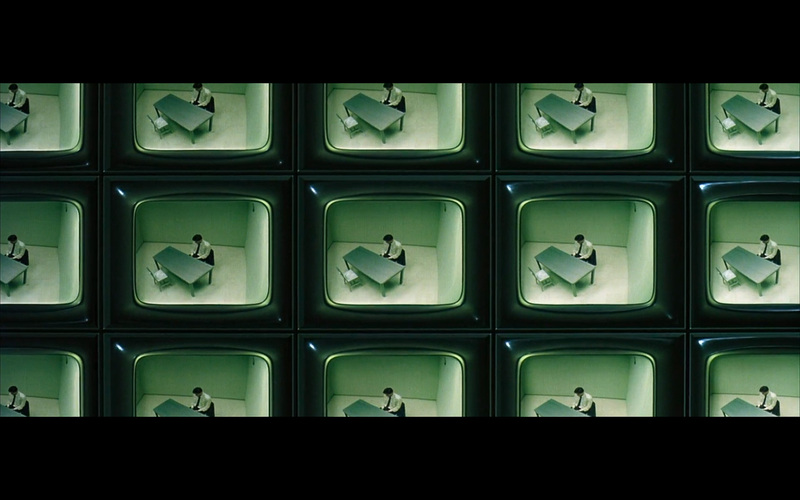 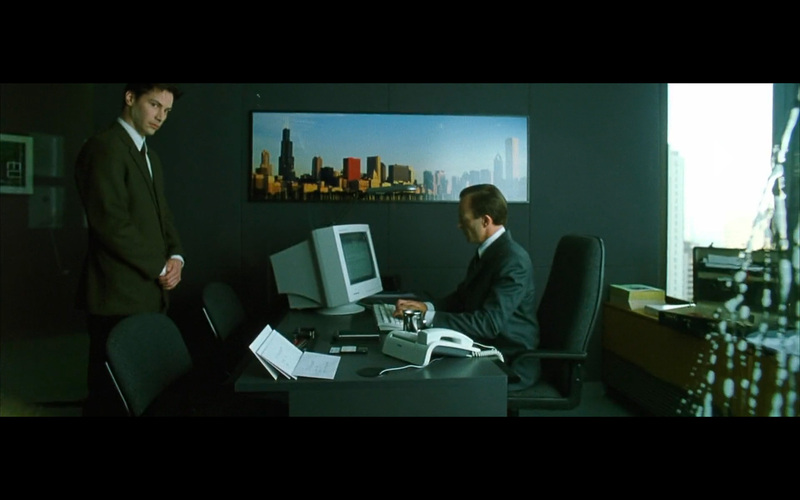 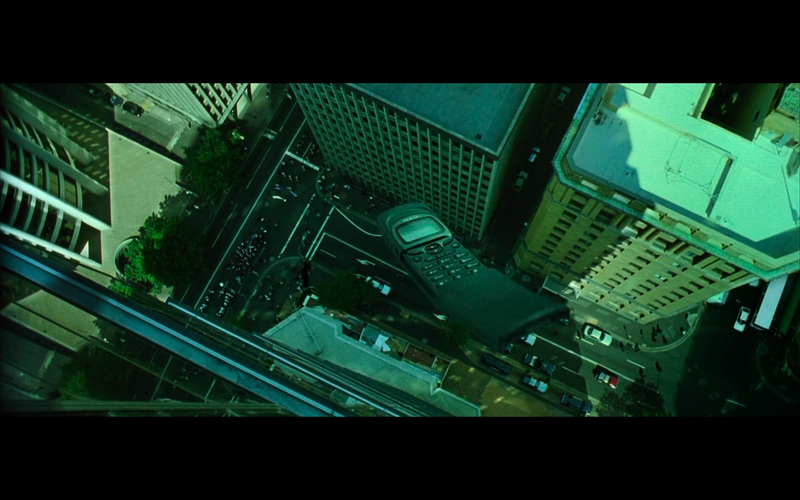 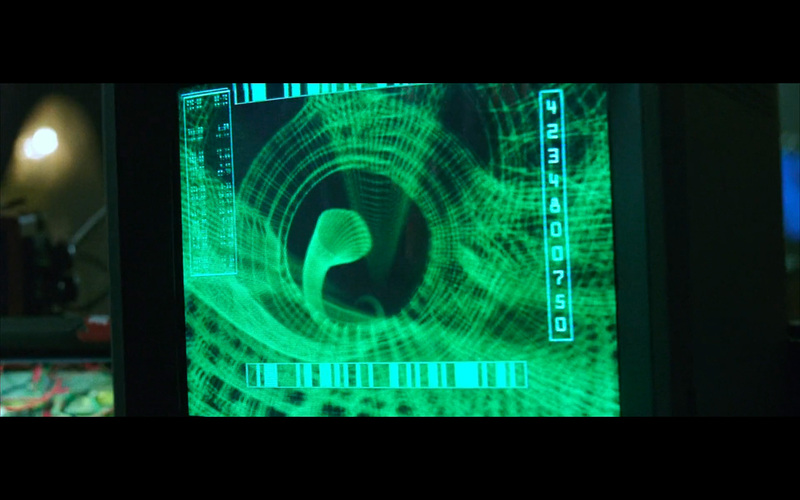 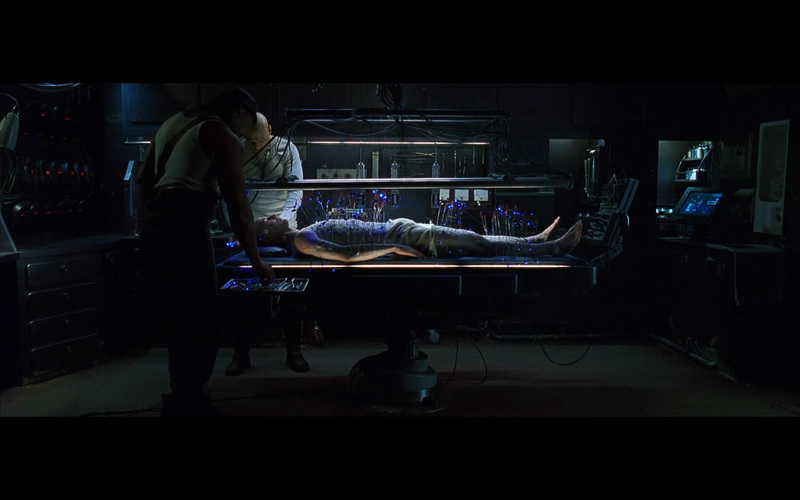 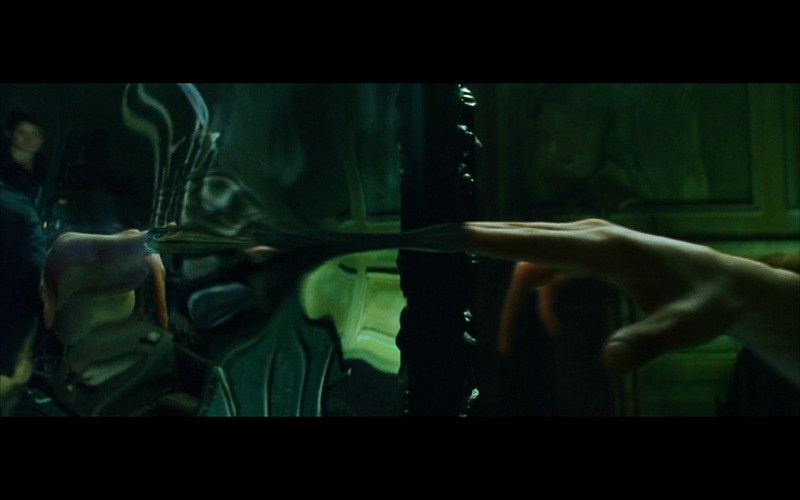 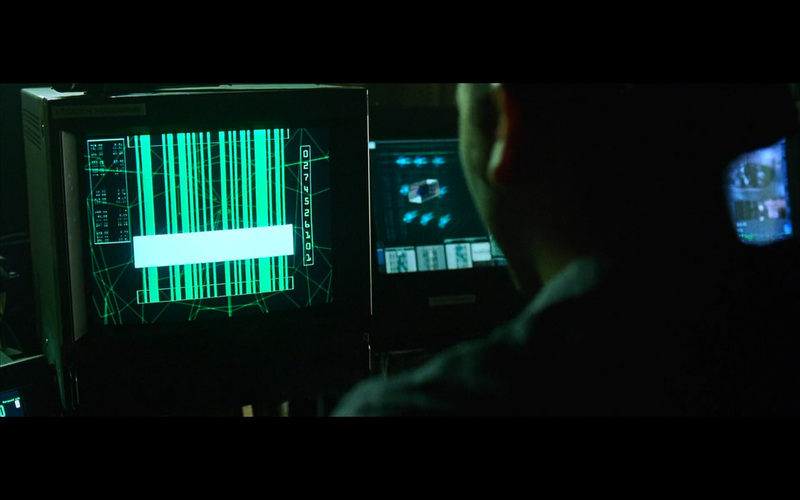 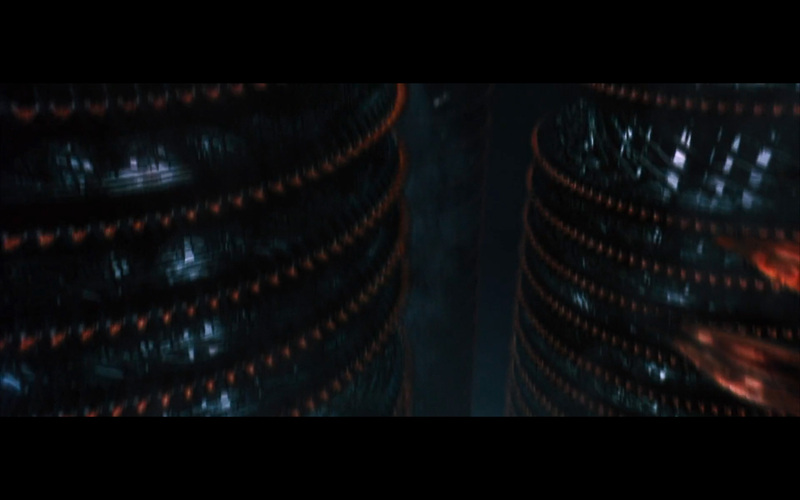 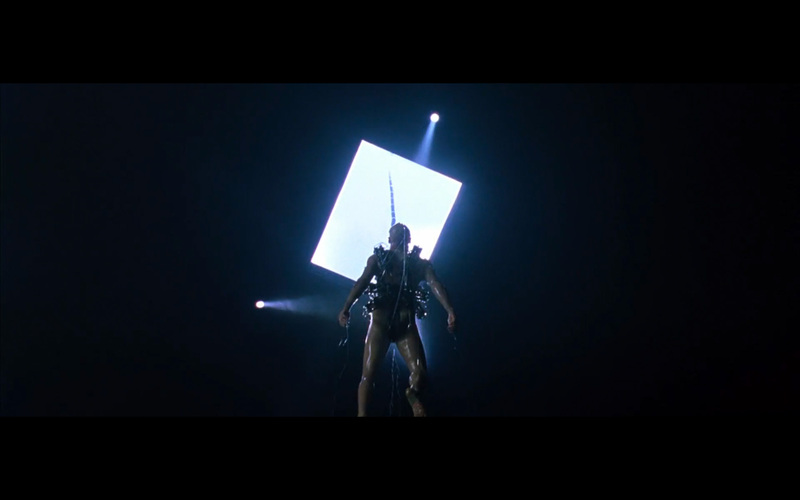 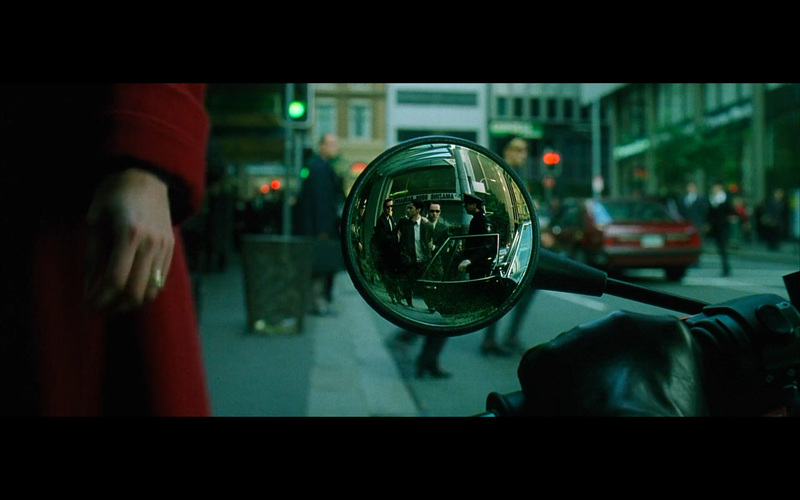 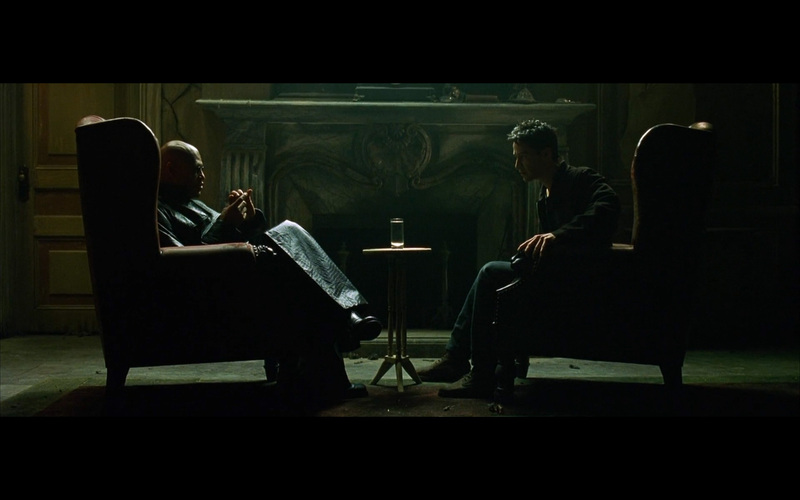 One scene is when Neo gets a call from Morpheus, telling him the agents are coming after him. 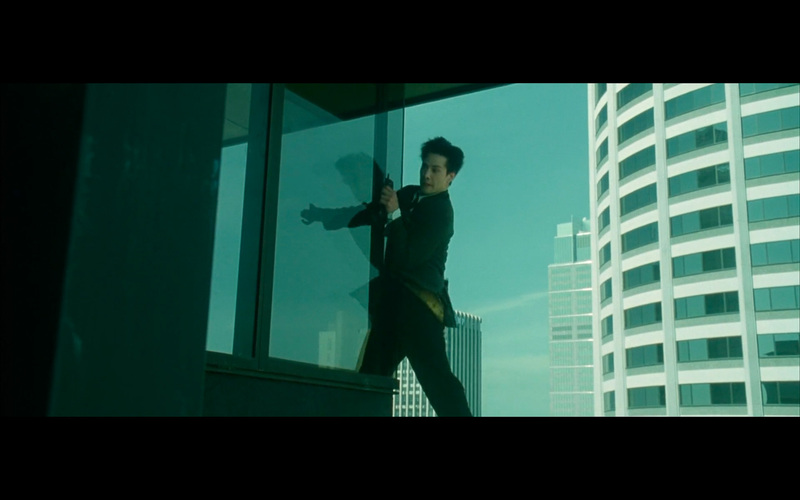 He is instructed to go out of the building, and onto a very dangerous cliff on top of the skyscraper. 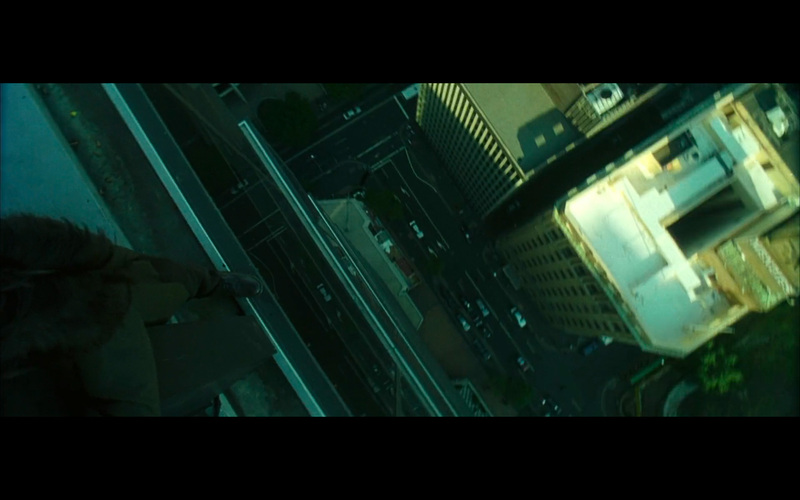 If you don’t take risks in life, you will end up in a worse situation. 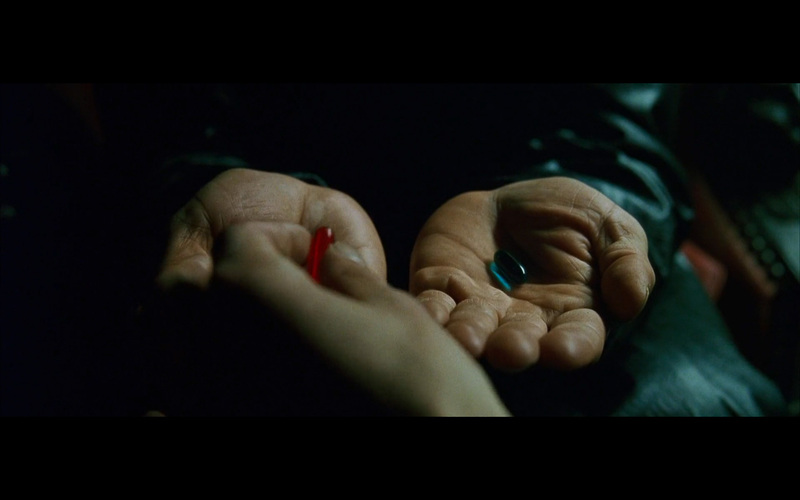 Take the red pill, or the blue pill? 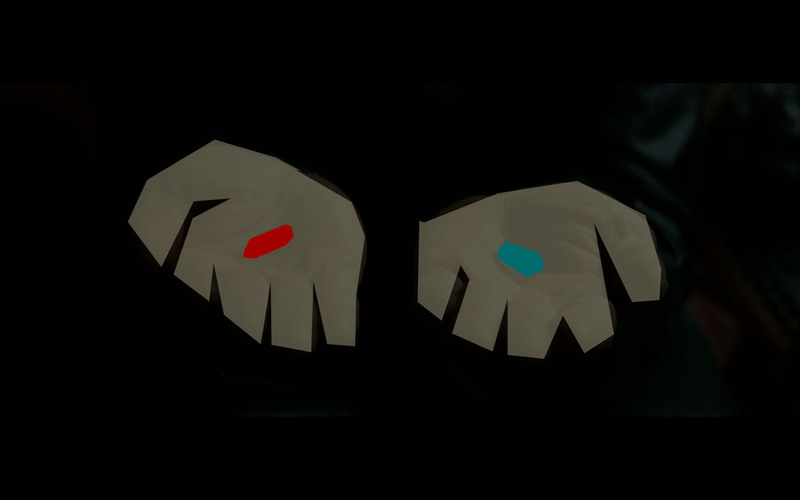 When given the opportunity/choice, do you take the red pill (reality) or do you take the blue pill (false reality)? 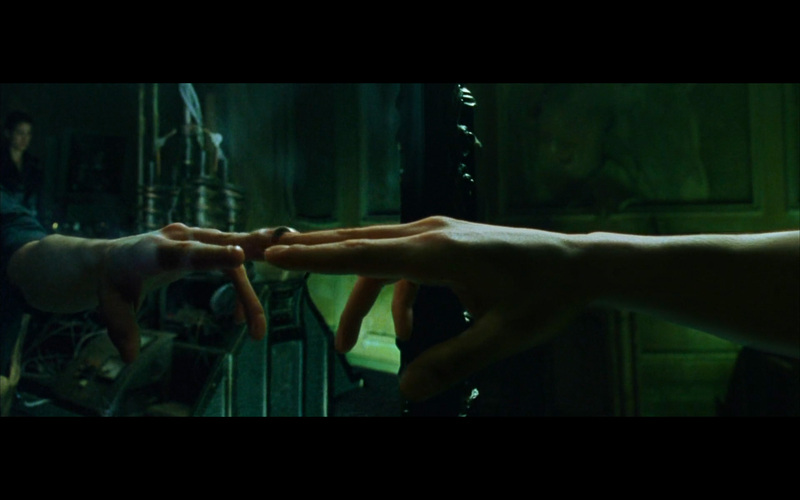 To me, this is a great symbol of real life. 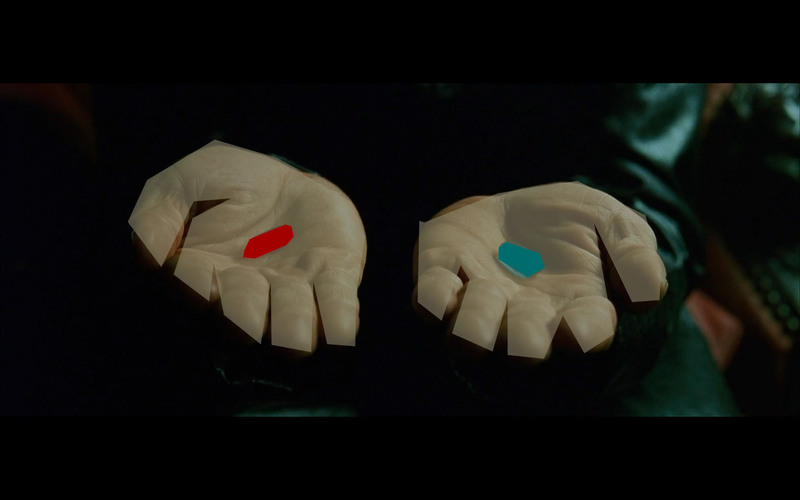 When you go on a journey of self-searching and studying philosophy, you realize that the road will be painful, arduous, and difficult, yet– you would prefer to discover the ‘truth’ of reality, rather than being a happy ignoramus (blue pill). 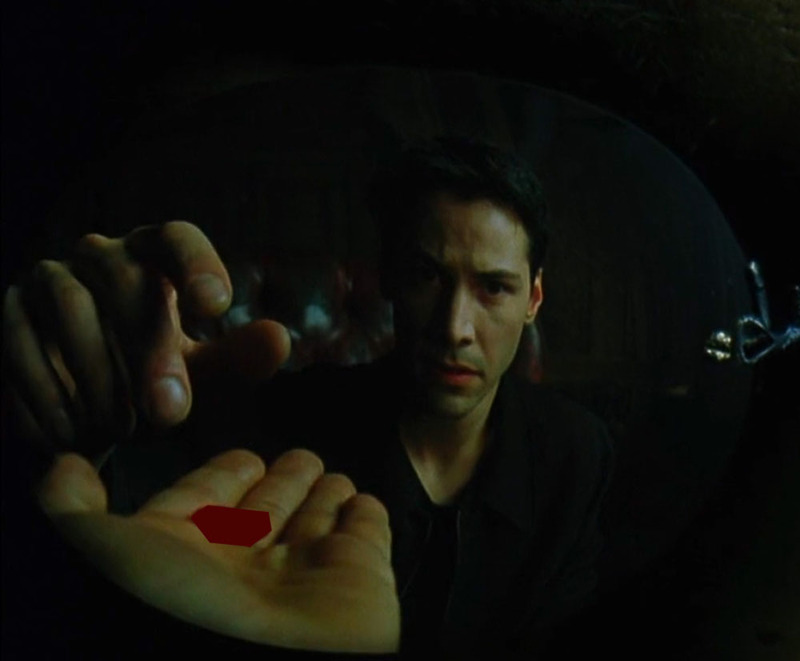 Good job Neo, taking the red pill! 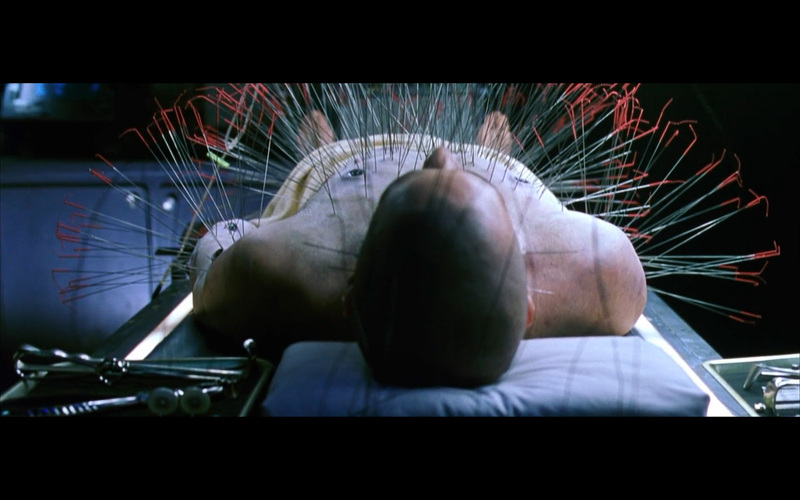 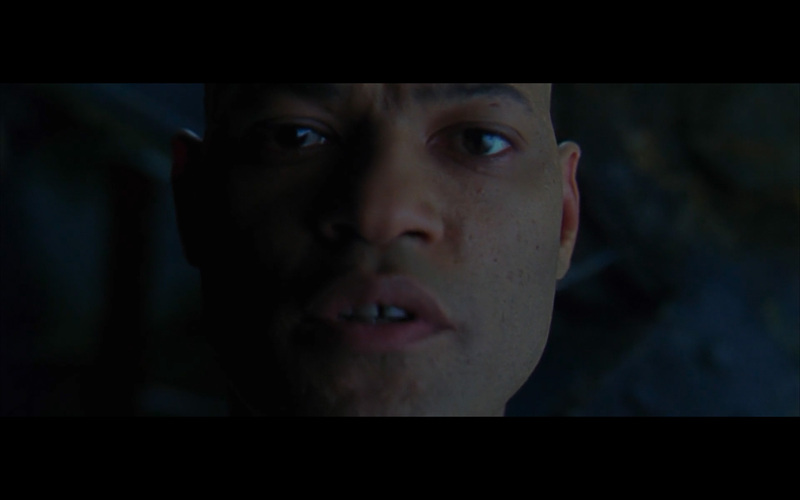 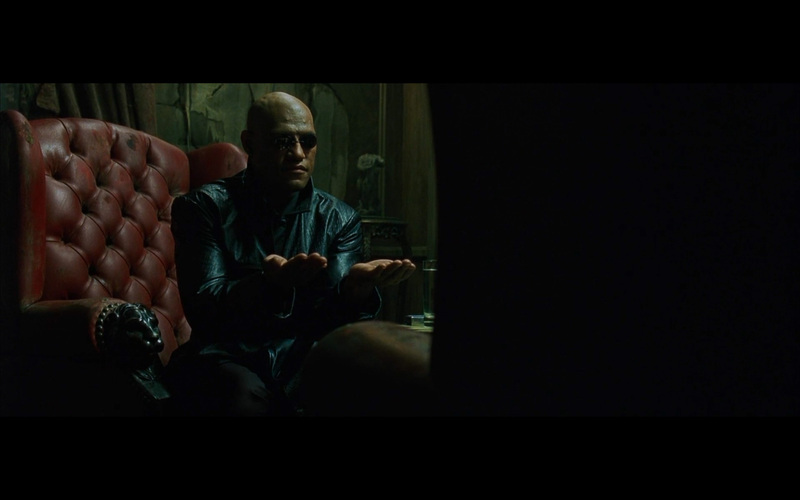 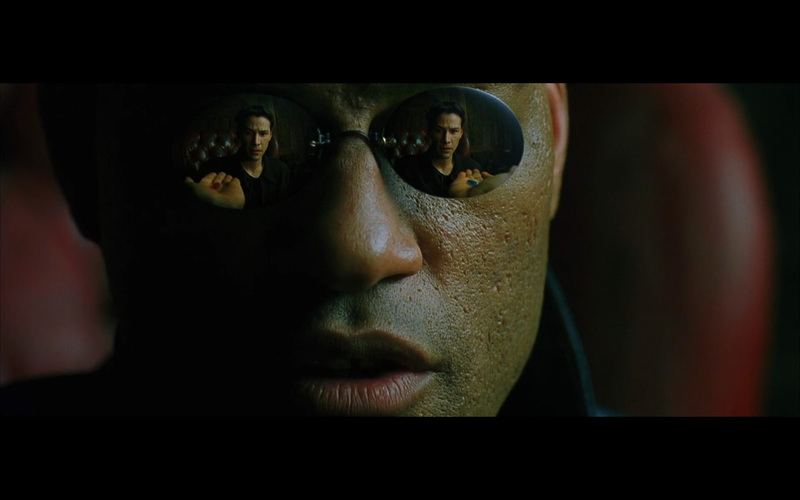 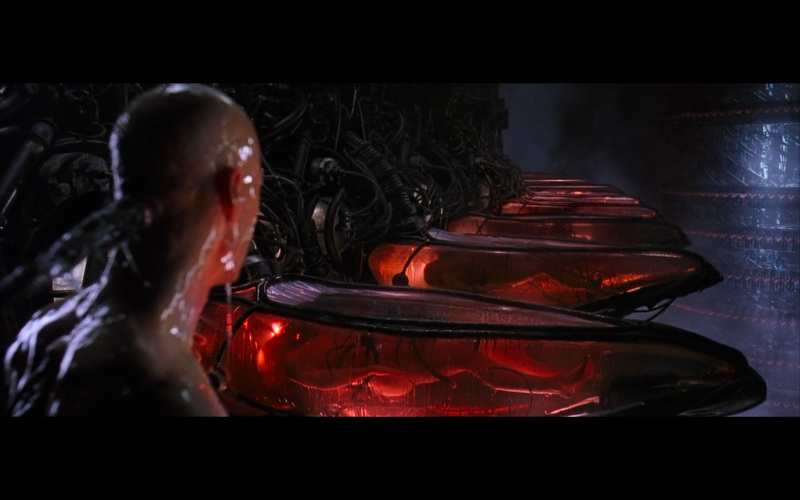 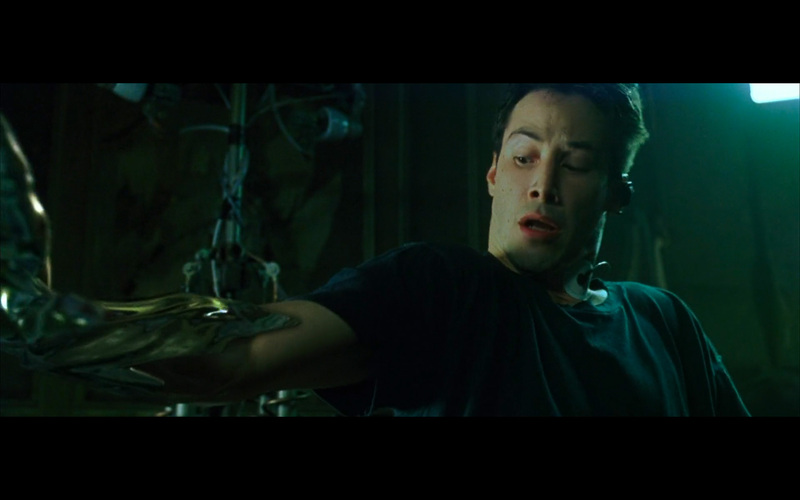 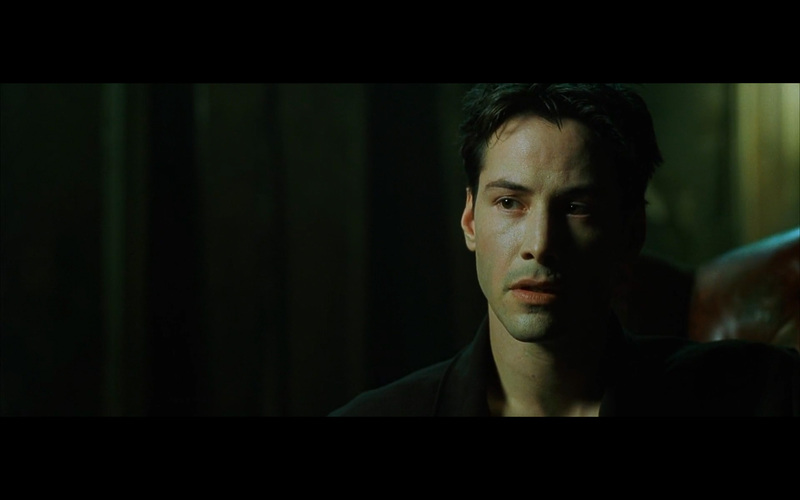 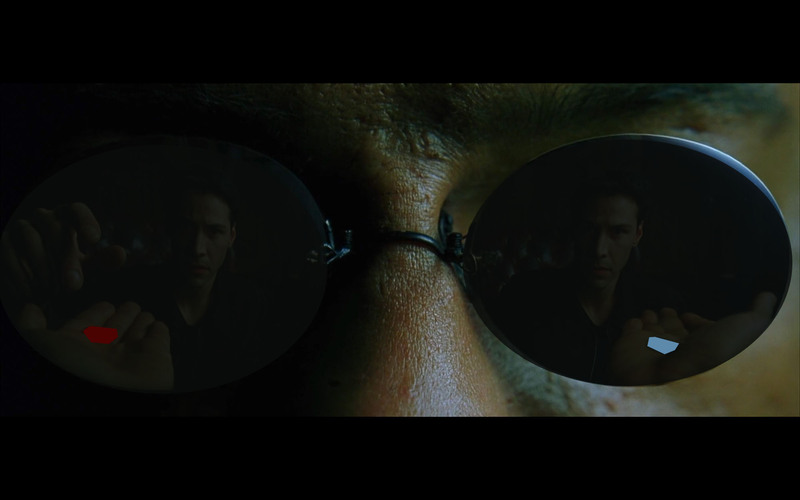 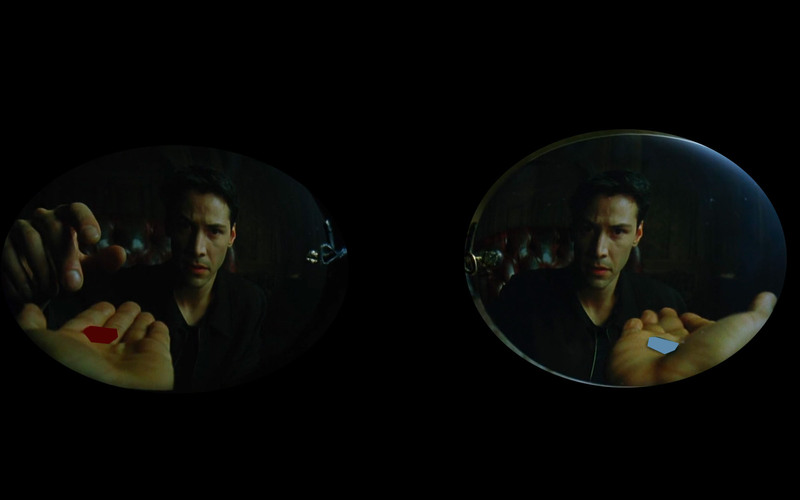 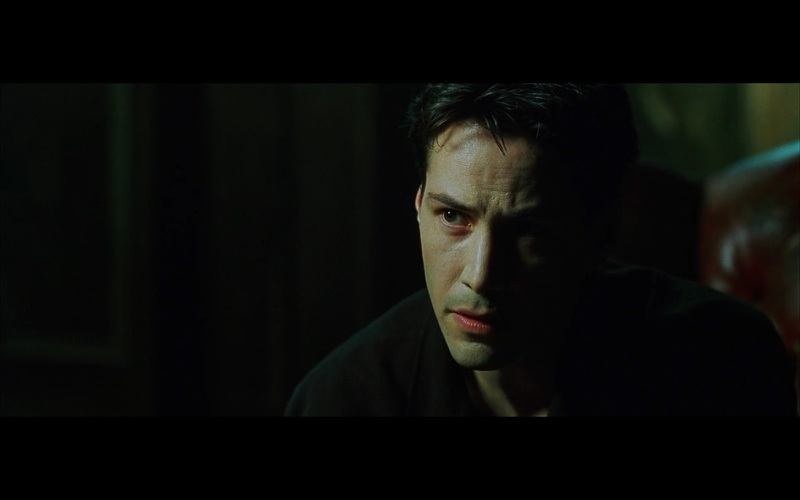 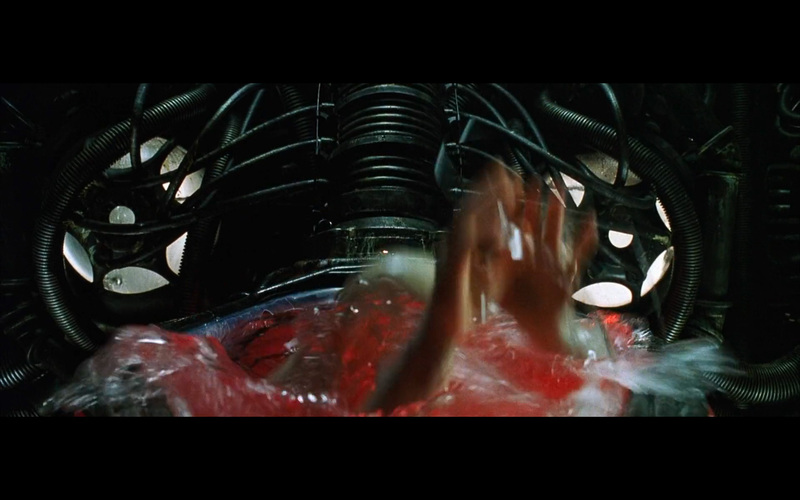 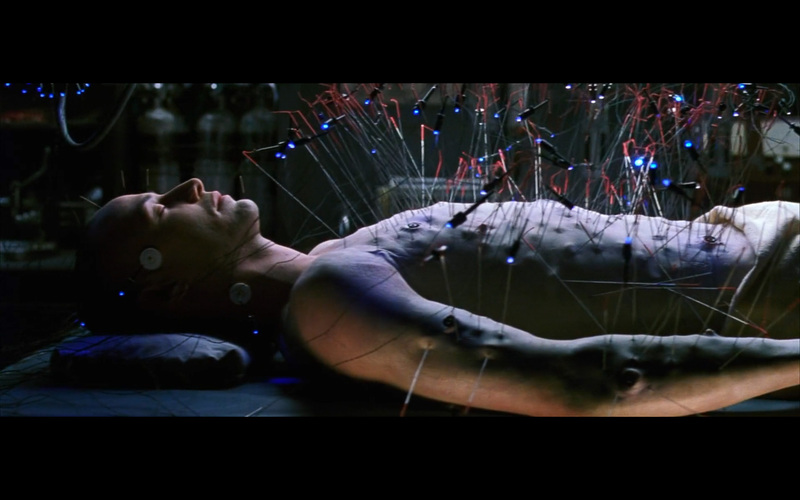 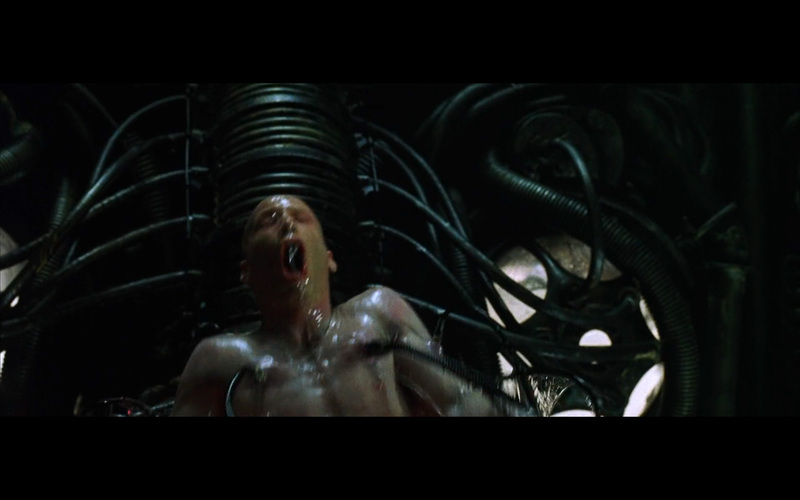 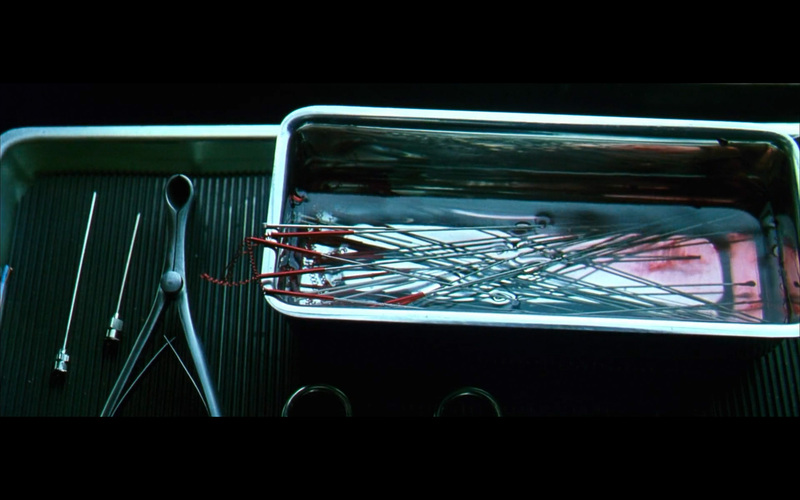 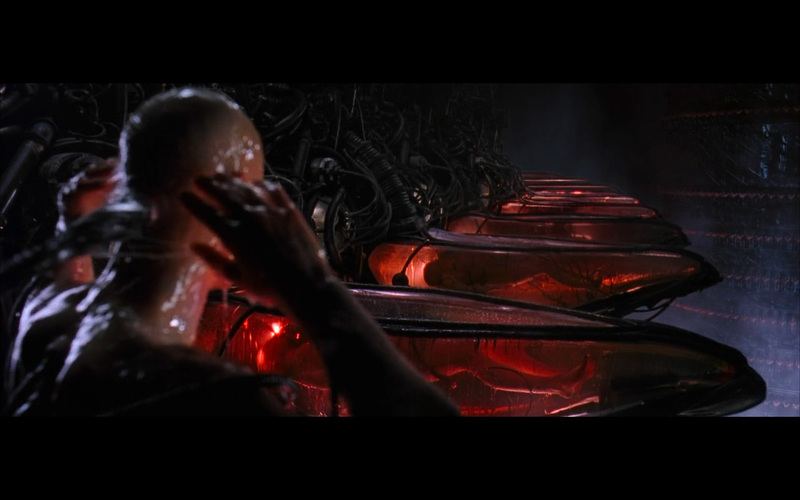 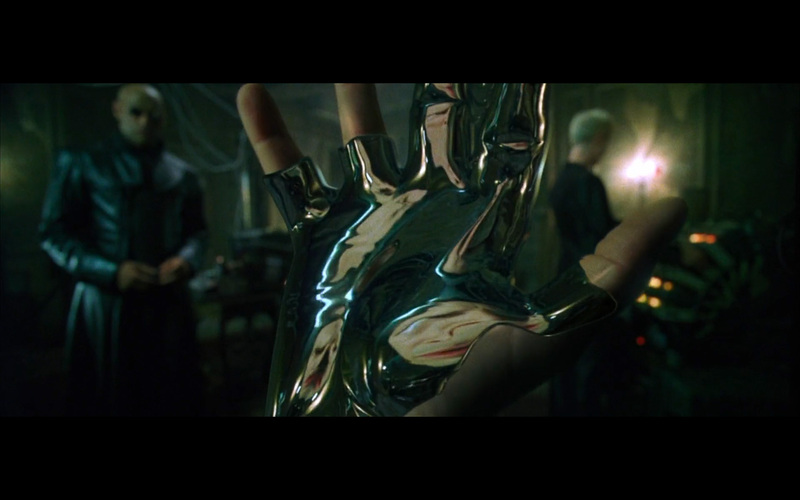 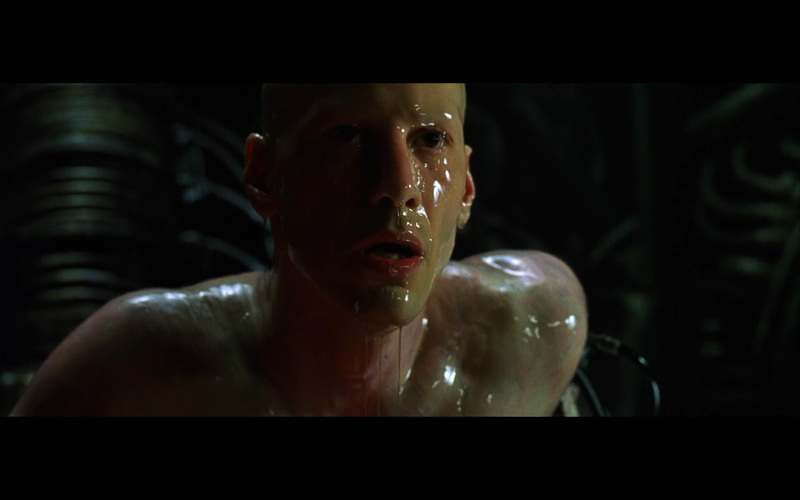 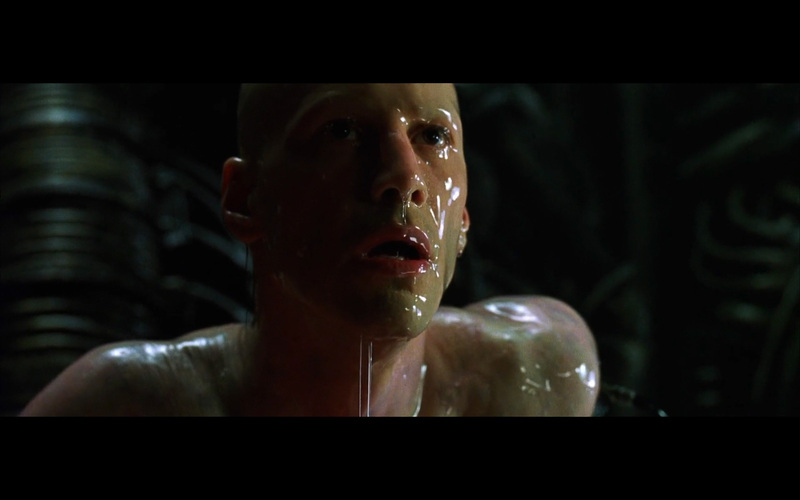 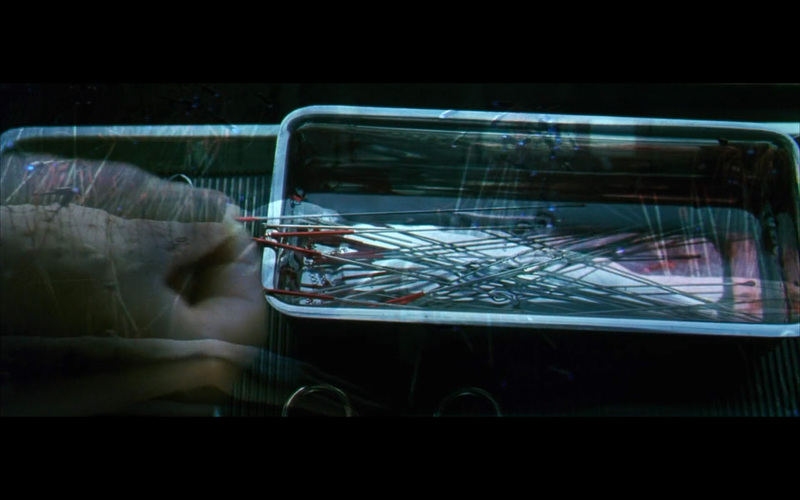 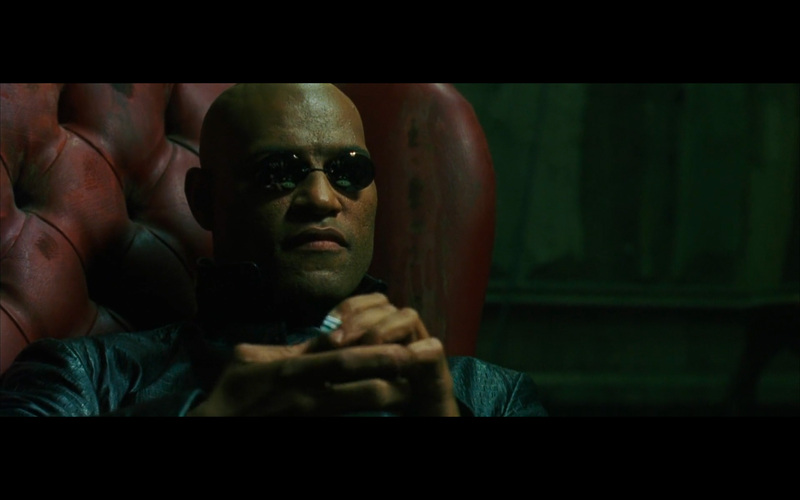 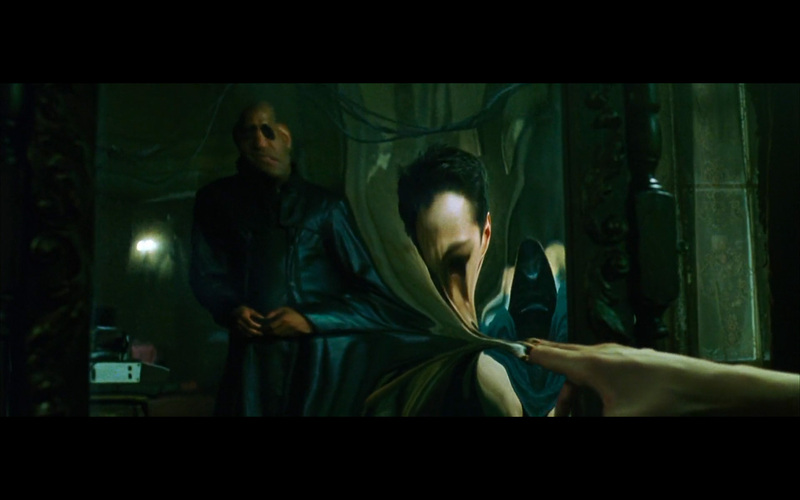 Philosophical idea: Morpheus doesn’t force Neo to take the red pill; he simply gives the option/choice to Neo. Same thing for us in real life– we always have an option in life– we can control which path to take! 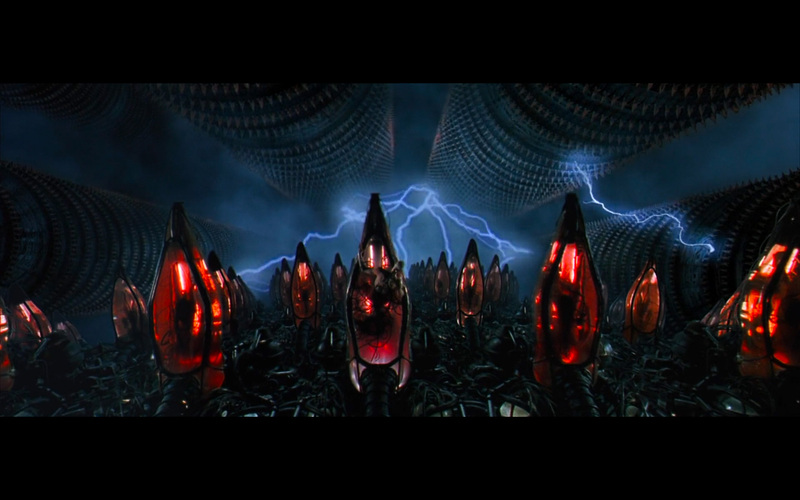 Humans are just little batteries. 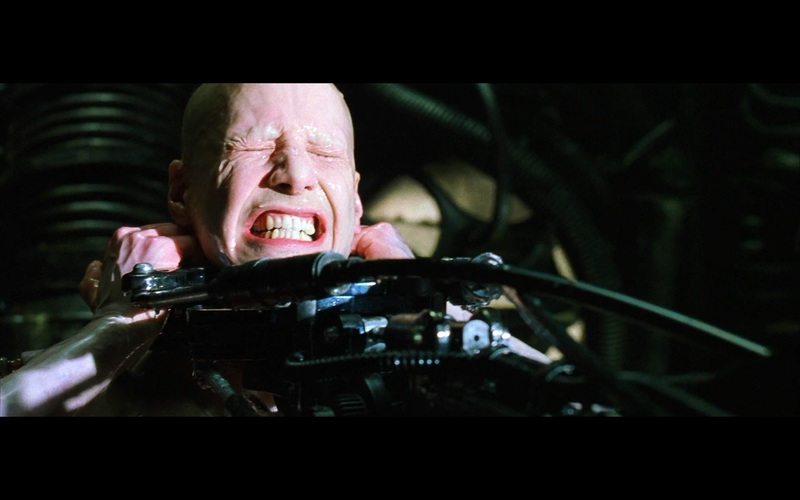 In modern society, we are essentially like cows: we just shove food down our throats, via junk food. 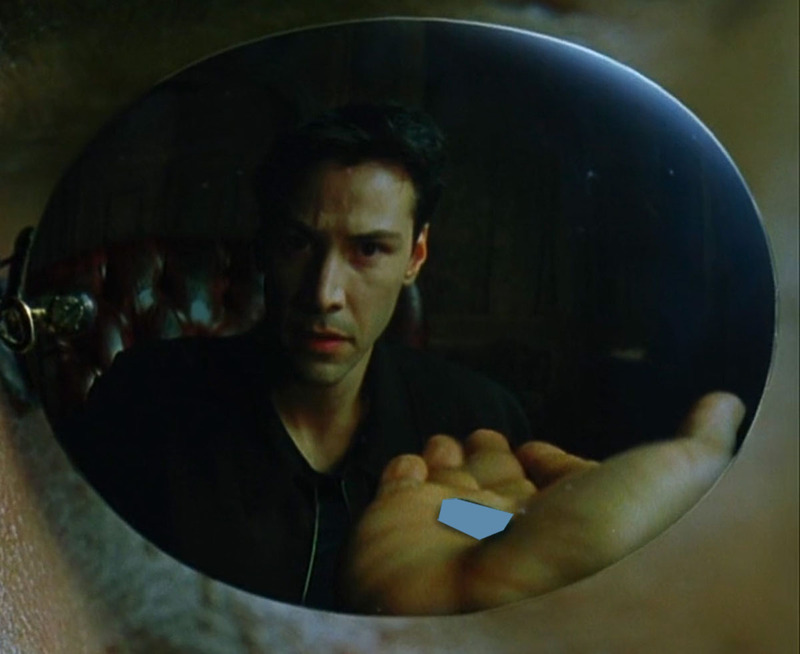 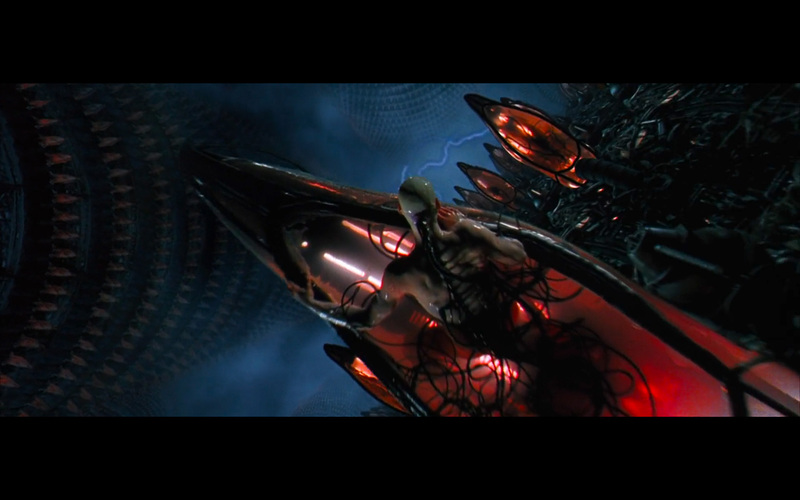 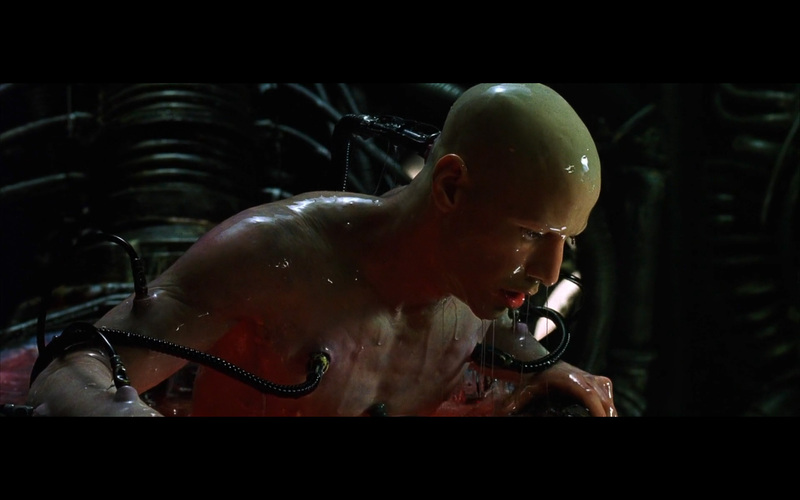 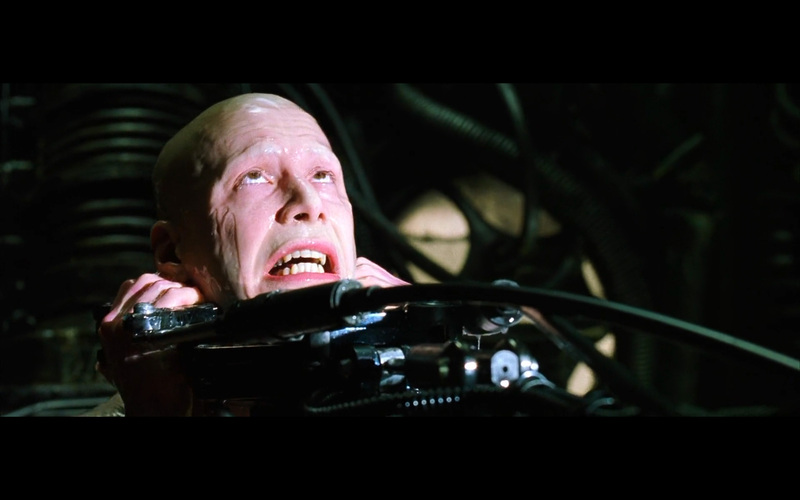 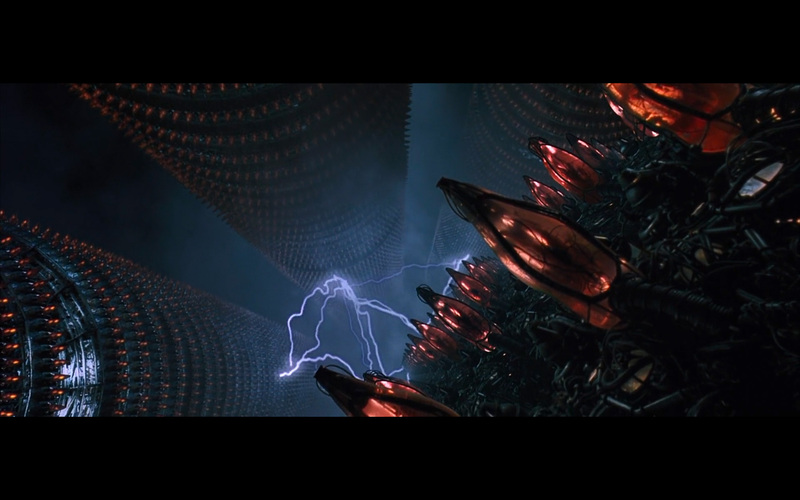 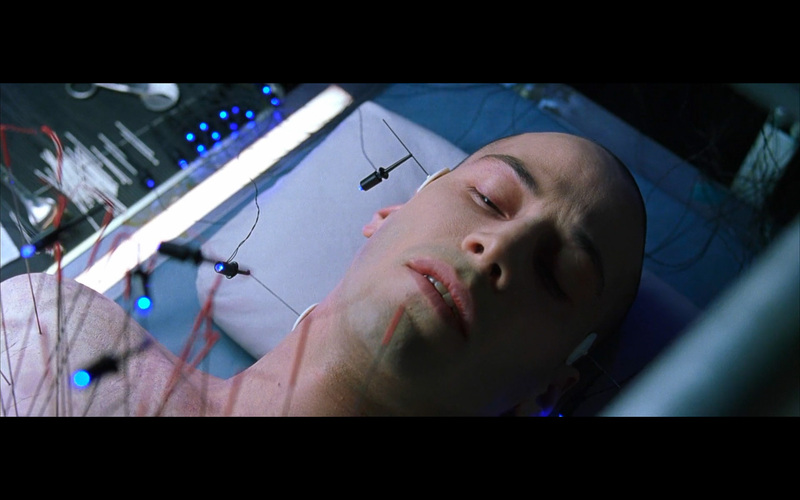 With modern technology (email, smartphones, etc), we are essentially ‘plugged into’ the matrix (mindless social media, blogs, websites, Netflix, etc). 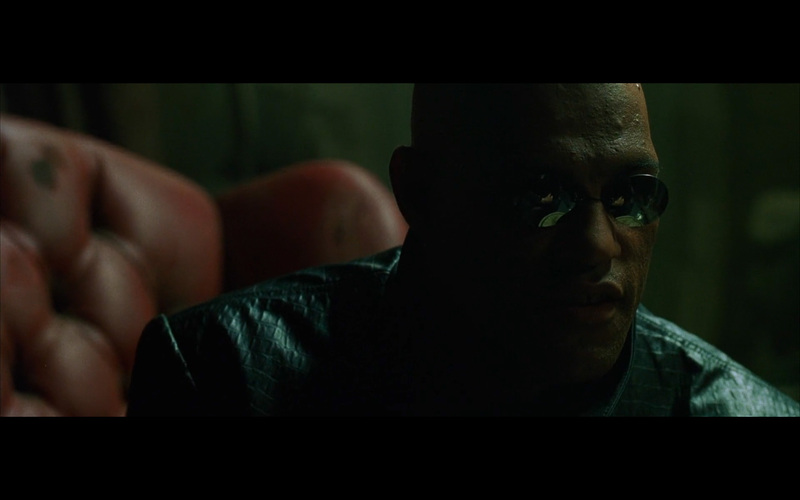 Morpheus: ‘Because you’ve never used them before’. Lesson: When you see ‘real reality’, it will be painful.